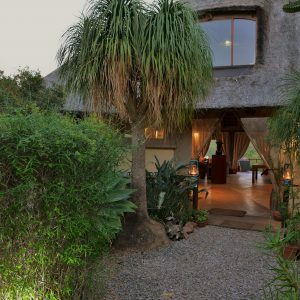 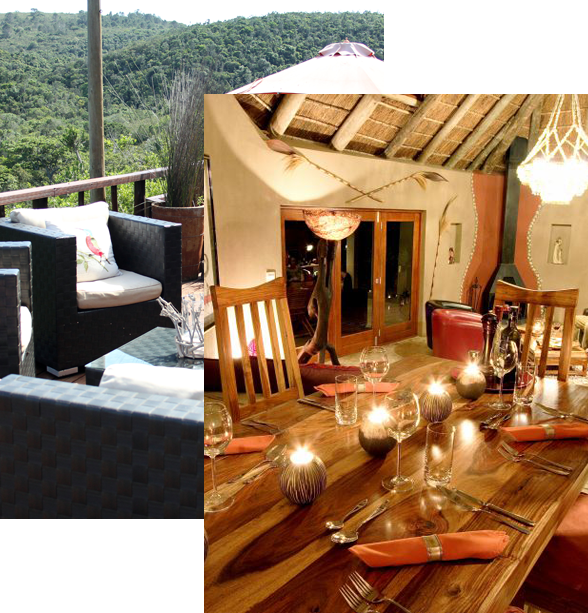 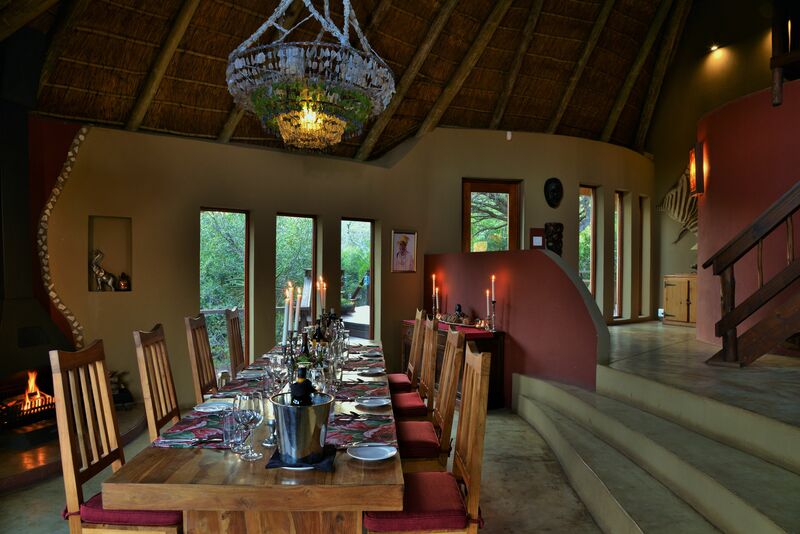 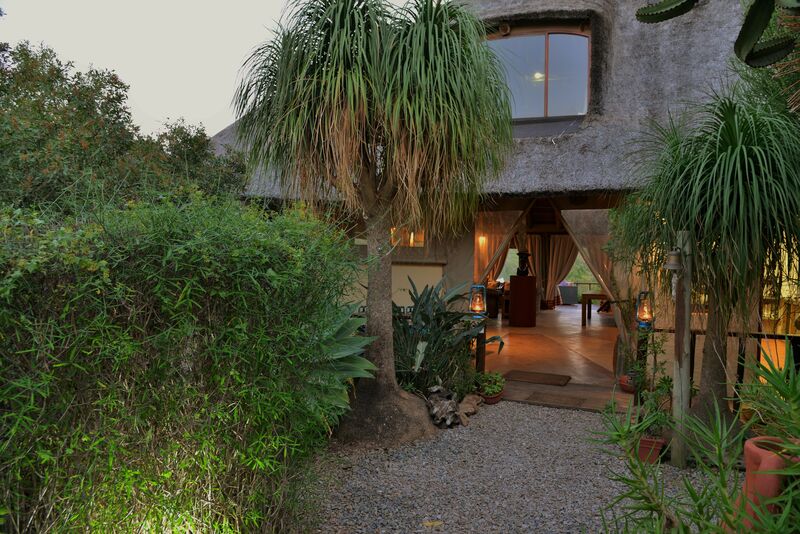 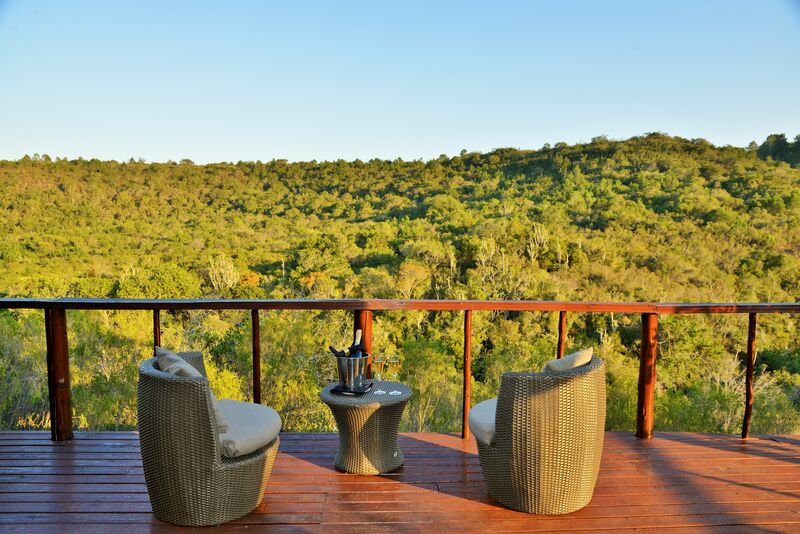 Sibuya’s Bush Lodge is set in a pristine wilderness paradise only a short drive out of the main Reserve. 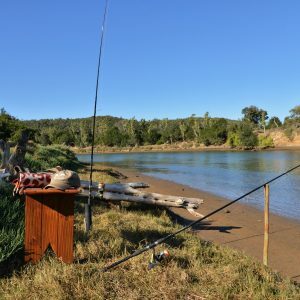 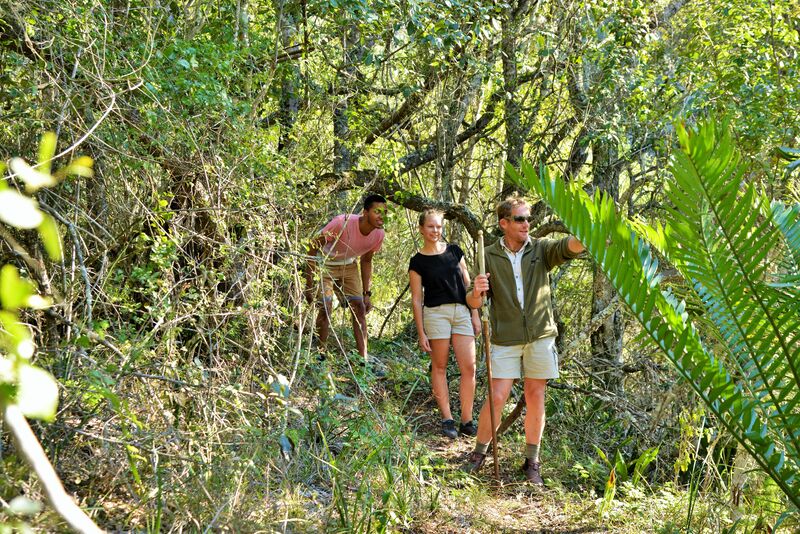 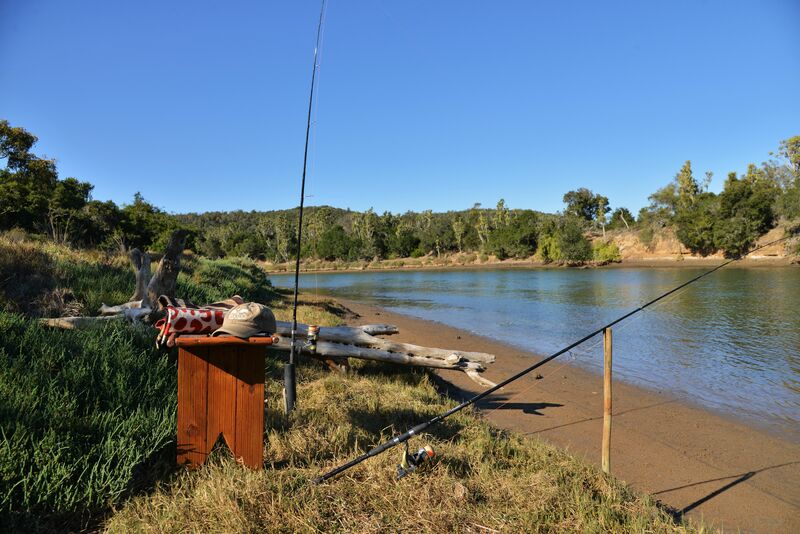 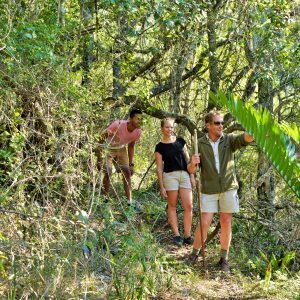 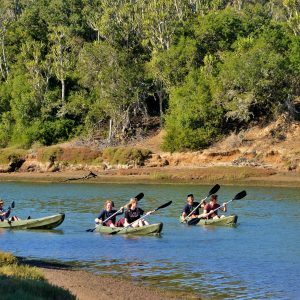 After departing from Reception in Kenton-on-Sea and enjoying a unique boat cruise up the Kariega Estuary, Bush Lodge guests have a short transfer from the River by game drive vehicle to the Lodge. 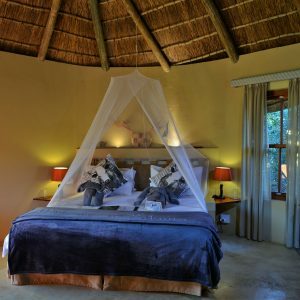 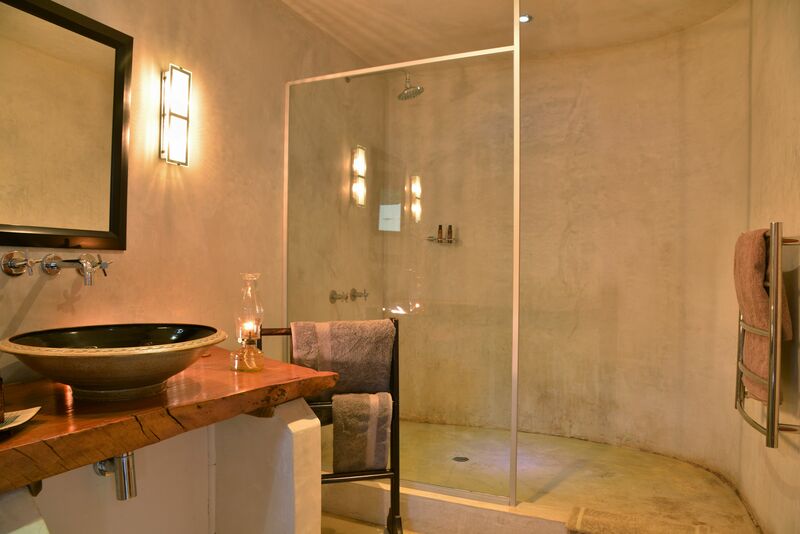 This stylish bush destination, which mushrooms from an indigenous forested valley, is a classic thatched Lodge built with all the luxury and modern amenities to match. 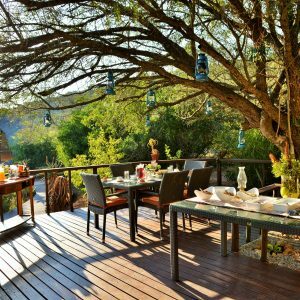 At this stunning venue, guests are shown to their luxury accommodation & then have a delicious buffet-style lunch in the main Lodge or on one of the expansive decks. 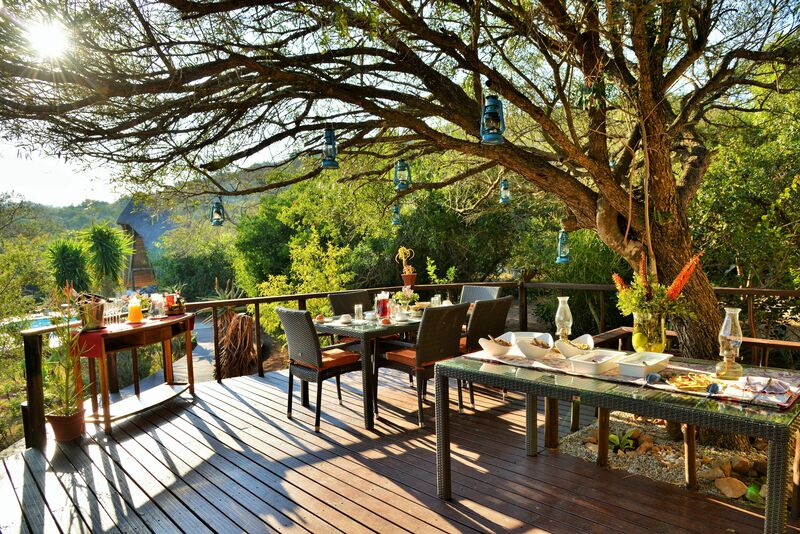 All meals are buffet-style. 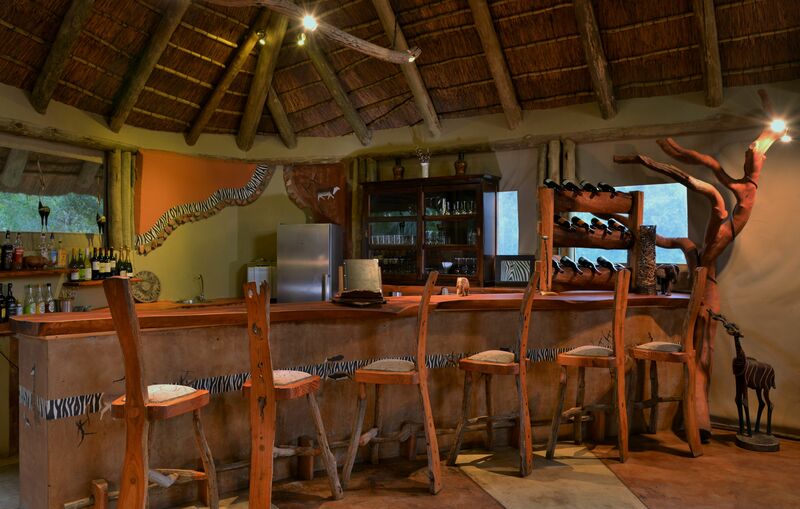 We pride ourselves on fresh, unpretentious and tasty meals with an African twist. 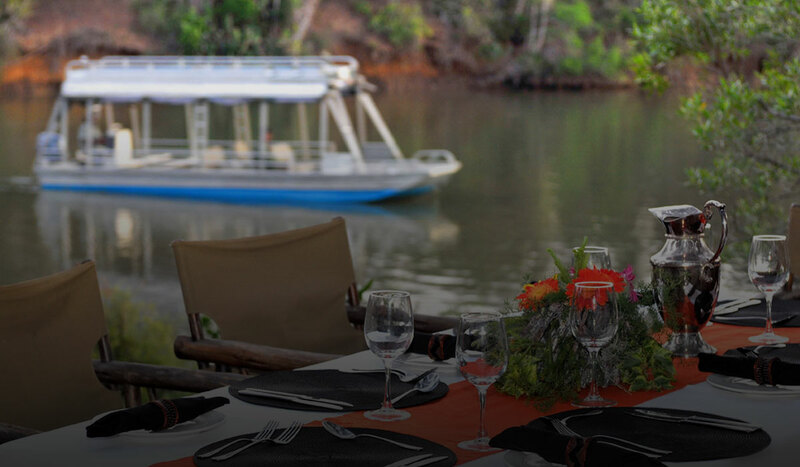 If notified before arrival, every effort is made to cater for dietary requirements. 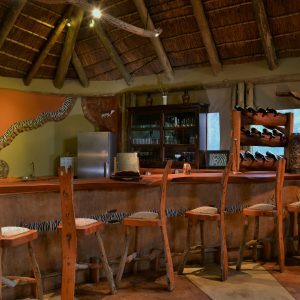 Complimentary fine award winning South African wine is on offer and there is an additional wine list for the more discerning palate. 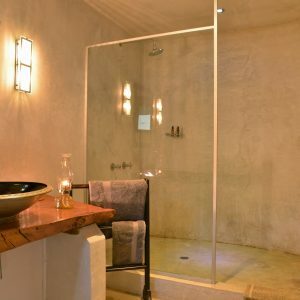 These come at a nominal extra cost. 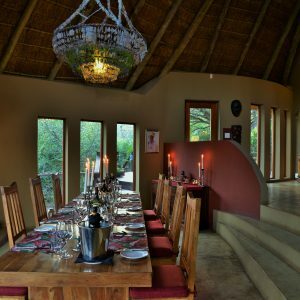 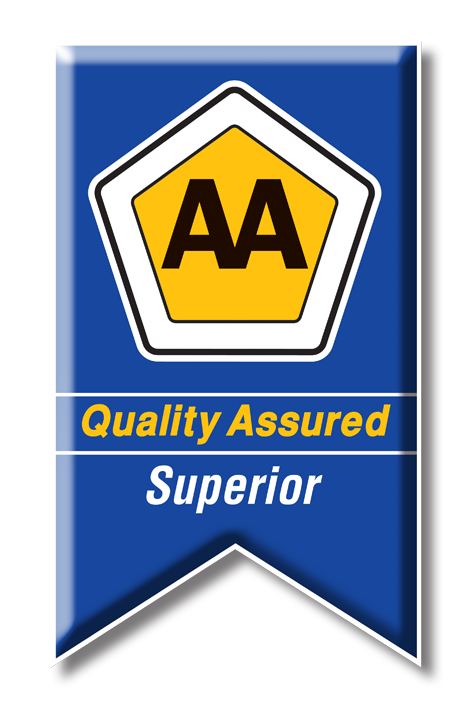 Guests are welcome to bring their own preferred beverages or to notify us beforehand so that we can order in their requirements. 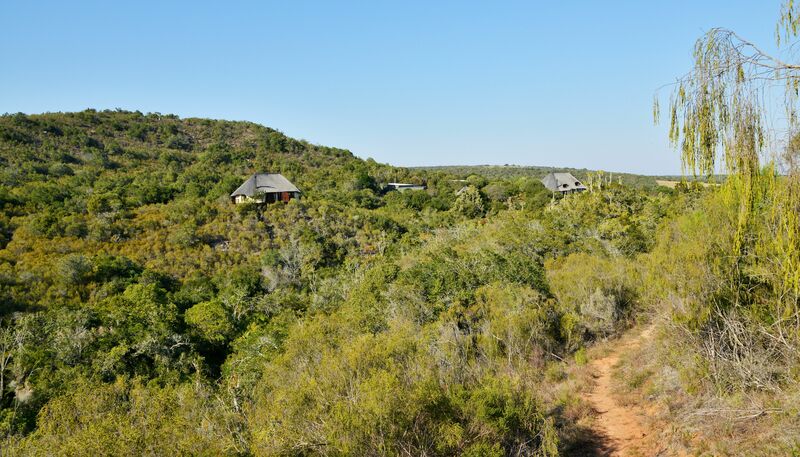 Overlooking the indigenous wooded valley below – spacious viewing decks surround the main Lodge and provide a paradise for Nature and bird-enthusiasts. 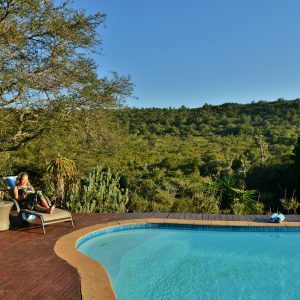 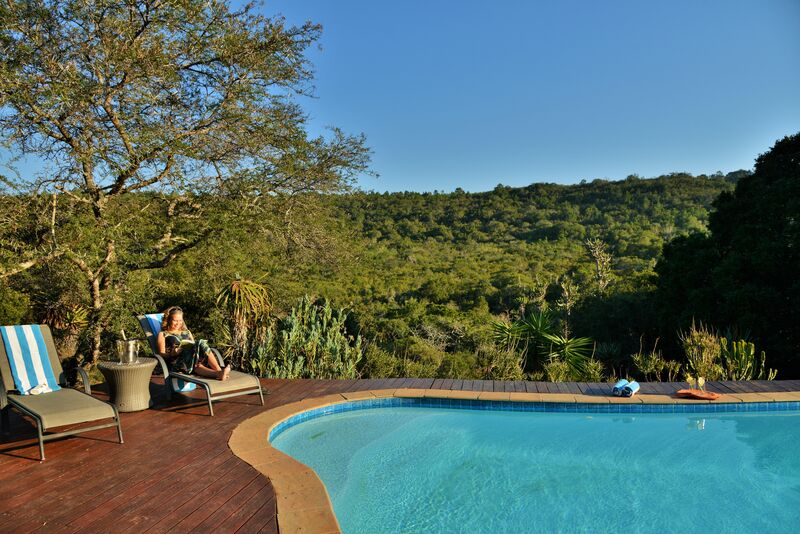 A sparkling swimming pool is an inviting alternative to the Kariega River Estuary and is an ideal place to relax and refresh between game drives or other activities. 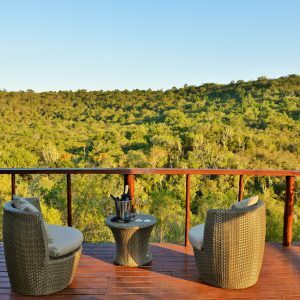 Bush Lodge is on the main electrical grid, so for those guests wanting a little more luxury and comfort in the way of electrical appliances, than our tented Eco-Destination Solar-powered River and Forest Camps, this is the ideal alternative. 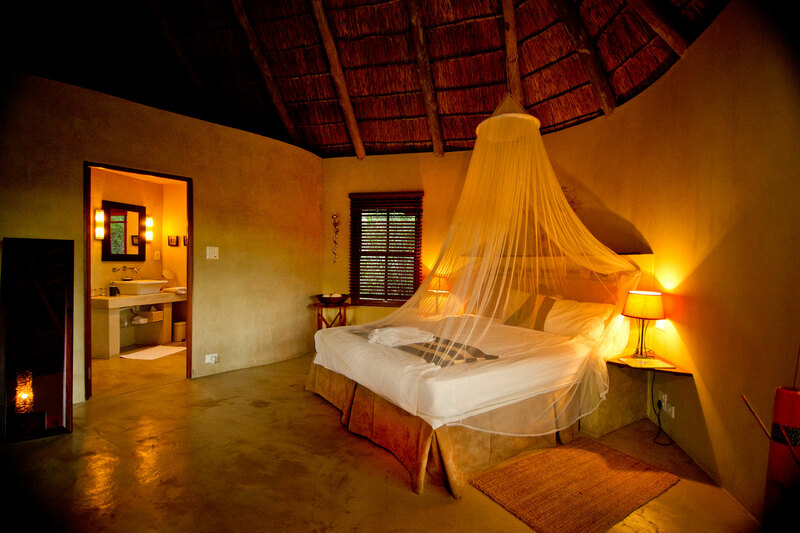 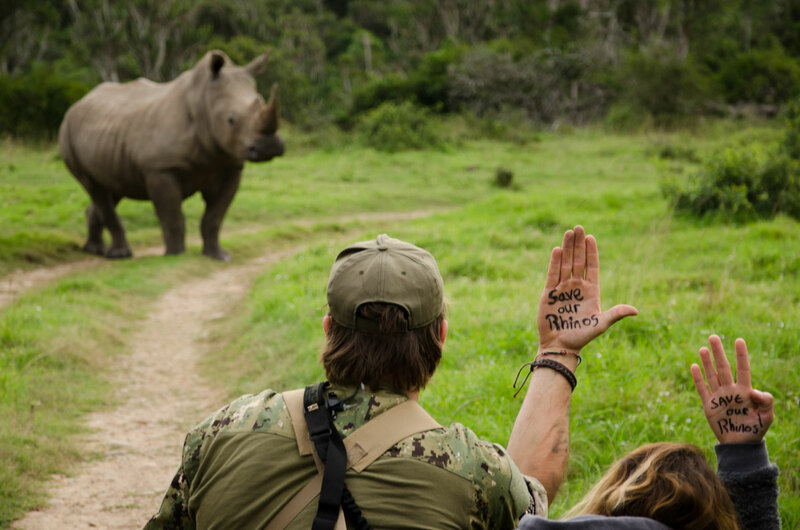 A professional host and Rangers are available at all times to see to your every comfort. 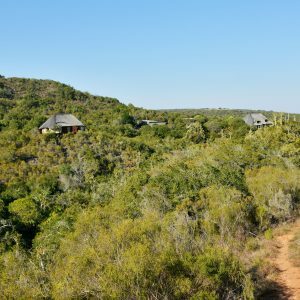 Bush Lodge welcomes children over the age of 12. 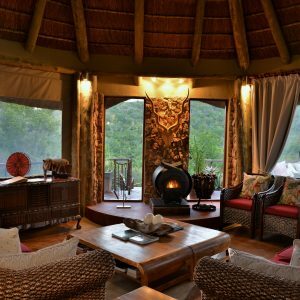 Bush Lodge has only four secluded luxury thatched suites so a relaxing, exclusive and personalized experience is guaranteed. 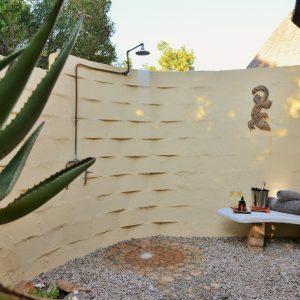 The stunningly appointed units are private, spacious and have a fully en-suite bathroom – with outside and inside showers and surrounding private viewing decks. 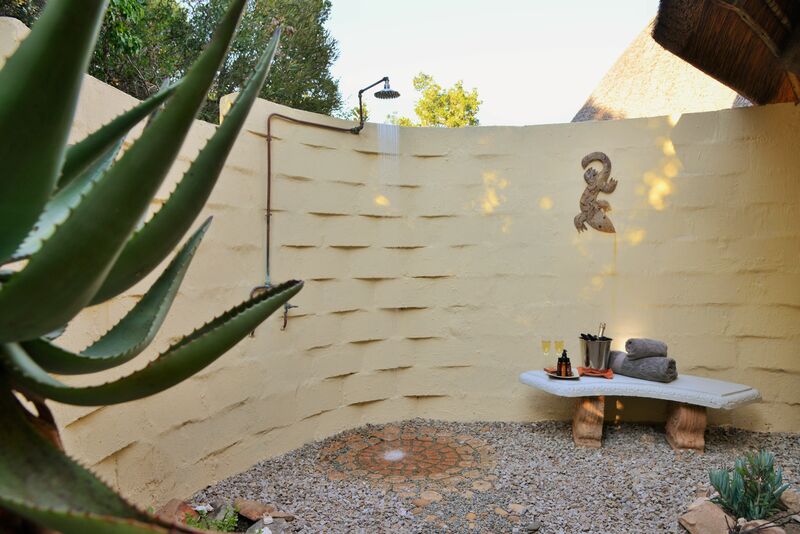 Each suite has a tea/coffee station and for hot summer nights, air-conditioning. 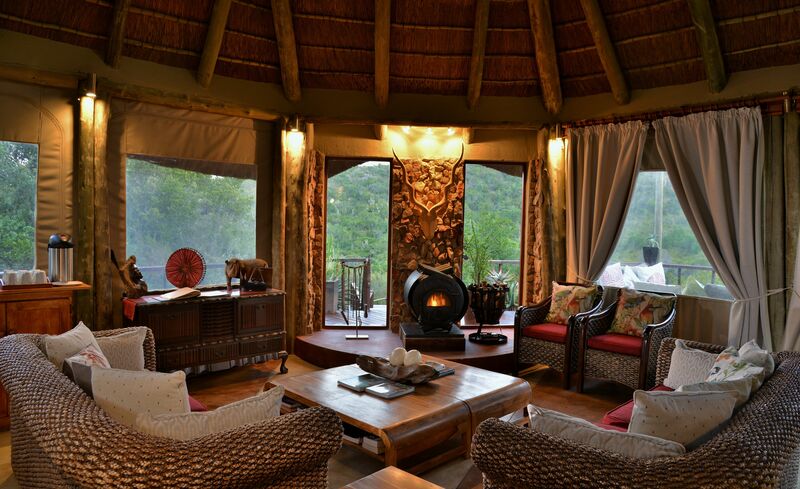 A wood-burning fireplace adds a cosy touch for the cooler winter evenings. 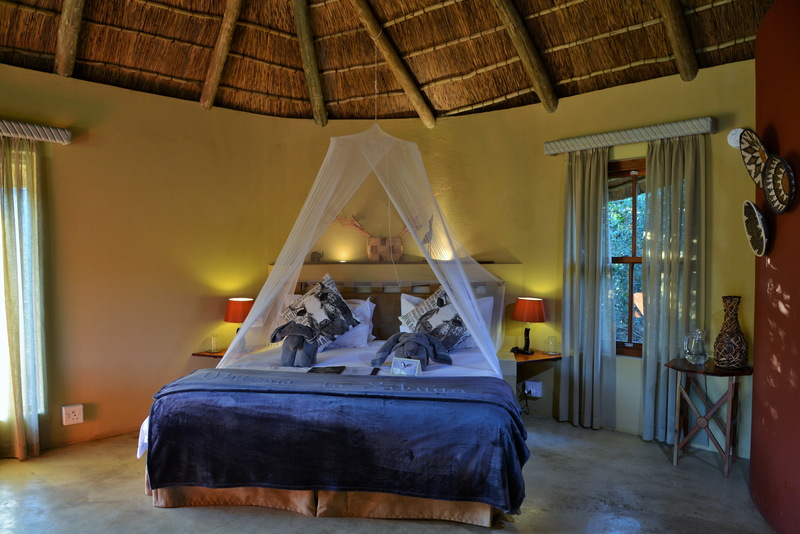  Comfortable King-size or Queen-size beds with fine crisp white linen ensure a wonderful restful night. 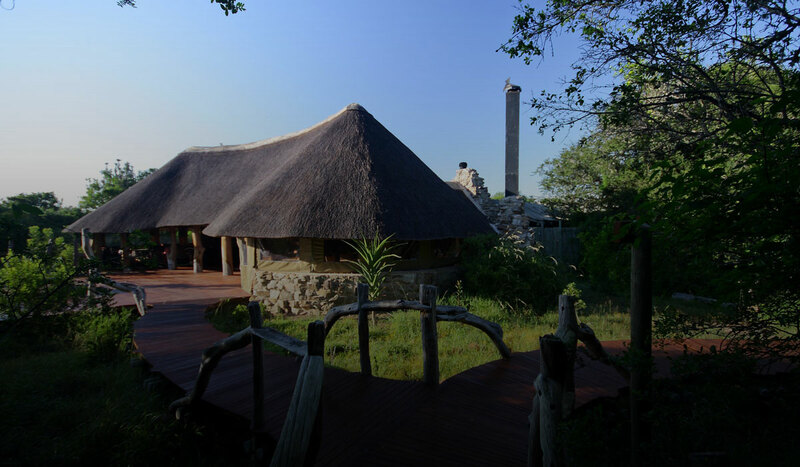 Divans are available for children sharing with their parents.